Originally from Singapore, Madeleine Lim is a long-time community organizer and an award-winning filmmaker with 20 years of experience. Her own films couple poignant visuals with contemporary themes: lesbians of color, survivors of domestic violence, and immigrants living in America. Her films have been featured at sold-out theaters at international film festivals around the world, museums, universities and broadcast on PBS. She won the 1997 Award of Excellence from the San Jose Film & Video Commission’s Joey Awards and the 1998 National Educational Media Network Bronze Apple Award. From 2000 to 2003, she was California Arts Council Artist-in-Residence. In 2004 and 2005, the SF Board of Supervisors awarded Madeleine a Certificate of Honor in public recognition of distinction and merit for outstanding service to the people of San Francisco. In 2005, Madeleine received the LGBT Local Hero Award from KQED-TV in recognition of her leadership of QWOCMAP and her dedicated service to queer women of color. She was the featured filmmaker at the 2006 APAture Asian American Arts Festival and was twice-awarded the highly competitive SFAC Individual Artist Commission for her new film. At the age of 23, Madeleine Lim escaped persecution by the Singaporean government for her organizing work as a young lesbian artist-activist. Ten years later, she created Sambal Belacan in San Francisco, a film that is still banned in Singapore for its exploration of race, sexuality and nationality. As one of a small number of queer women of color filmmakers on the international film festival circuit, she saw that only queer women of color would tell their own authentic stories. In 2000, she created Queer Women of Color Media Arts Project (QWOCMAP) with the belief that a community of artist-activist leaders could change the face of filmmaking and the social justice movement. As founding Executive/Artistic Director, Madeleine Lim leads organizational vision and provides artistic direction for all QWOCMAP programs. Lim is an award-winning filmmaker with more than 20 years of experience as a producer, director, editor, and cinematographer. Her films have screened at sold-out theaters at international film festivals around the world, including the Vancouver International Film Festival, Mill Valley Film Festival, and Amsterdam Amnesty International Film Festival. Her work has also been featured at museums and universities, and broadcast on PBS to over 2.5 million viewers. She holds a B.A. in Cinema from San Francisco State University, where she was awarded Outstanding Cinema Student of the Year. Lim’s films have received awards from the prestigious and highly competitive Paul Robeson Independent Media Fund, as well as the Frameline Film Completion Fund. She received the 1997 Award of Excellence from the San Jose Film & Video Commission’s Joey Awards and won the 1998 National Educational Media Network Bronze Apple Award. From 2000 to 2003, she was a California Arts Council Artist-in-Residence. Under Lim’s leadership, QWOCMAP’s Filmmaker Training Program was awarded 2003 Best Video Program by San Francisco Community Media. 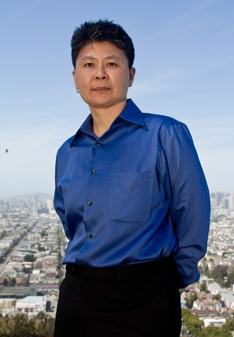 In 2005, Lim received the LGBT Local Hero Award from KQED-TV in recognition of her leadership of QWOCMAP and her dedicated service to the queer women of color community. The Featured Filmmaker at the 2006 APAture Asian American Arts Festival, Lim has twice been awarded the San Francisco Arts Commission Individual Artist Commission for her new film about her mother and other girls adopted from China. She has won the 2007 DreamSpeaker Award from Purple Moon Dance Project, and the 2010 Phoenix Award from Asian Pacific Islander Women & Transgender Community (APIQWTC).